Scotland and the EU - figure it out! The head of Scottish Financial Enterprise (SFE), Owen Kelly, insists that "business leaders" are looking for a "conclusive, authoritative conclusion" in the matter of post-independence Scotland's status vis-à-vis the European Union (EU). To which my immediate reaction is that if these "business leaders" seriously imagine there can be such certainty then we probably need new business leaders. I'm not sure it's any defence, but Mr Kelly is only parroting the kind of drivel spouted by unionist politicians on this issue. The way they tell it there is somewhere to be found the Holy Grail of some definitive morsel of "legal advice" that will settle the matter once and for all. And depending on which version of this drivel you listen to Alex Salmond either has this elusive prize in his possession, or he doesn't have it and hasn't even started looking yet. The anti-independence campaign never seems to be at all uncomfortable with such inconsistencies and contradictions. The reality, of course, is that no such "conclusive, authoritative conclusion" exists. Nor can it exist. The petulant insistence that there must be certainty in all things is every bit as puerile as it seems.There is neither precedent nor statute to provide a basis for such certainty. The matter of the relationship to the EU of both Scotland and the remainder of the UK (rUK) after independence will be a political decision and not a question of law. The only sensible response to demands to know what that relationship might be is, "it depends". But if that is the case, I hear you say, how can the Scottish government state with such conviction that Scotland would continue to be a member of the EU? Of course, one could just as sensibly ask how the British nationalists can be so positive that Scotland would have to apply for membership. The answer is that, while there can be no absolute certainty, it is possible to make reasoned deductions about what is and is not likely to happen. But I stress that they must be reasoned deductions - not convenient conclusions informed only by ignorance and prejudice. The tactics of the anti-independence campaign involve generating an impression of uncertainty and confusion around every aspect of independence. Quite how this sits with their disingenuous claims to want a sensible debate is for them to explain. The fuss about "legal advice" is just another part of the obfuscation exercise. But the fact of the matter is that no amount of pontificating from any number of lawyers can possibly tell us any more than is already known about the position. We already know what options will be available to the EU. The only confusion is in unionist's simultaneous contradictory and inconsistent assertions about their own position and that maintained by the SNP. One minute they say that all is vague and unsure. The next they say that their position is definitely right and the SNP position definitely wrong. They pounce on any utterance that might be interpreted as confirming that Scotland would have to apply for membership while totally ignoring statements to the contrary that are equally valid. There is no certainty. But there are things that we know. And there are things that we can work out from what we already know. So, what is it that we know? We know that there are three ways the EU can go. These options are spelled out very clearly in a Westminster briefing paper, Commons Library Standard Note SN06110. The British parties are well aware of the existence of this document. But they rarely if ever refer to it. It does not suit their purpose to do so. Despite all the high-minded talk of wanting an informed debate, the last thing unionists want is for the public to be apprised of the facts. The member state (UK) is deemed to have ceased to exist and neither of the two new states (rUK and Scotland) are member states. Successor state status is attributed to the continuing state (rUK) but not the seceding state (Scotland). Independence is deemed to create two successor states (rUK and Scotland) each of which inherits all treaty rights and obligations of the original member state subject to negotiated adjustments for things such as population size. From this it can immediately be seen that the situation is not nearly as complicated as unionists would have us believe. It is like a multiple choice question. It is not that there is no answer. It's just that there are three alternative answers. None is necessarily the "right" answer. But not all are equally credible or viable as answers. As is usually the case with multiple choice questions there is one answer which can be safely discarded right away. In this instance the obvious candidate is dissolution. Think about it! The UK is a net contributor to the EU budget and represents a significant chunk of the single market. These facts alone make it all but unthinkable that the EU would arbitrarily eject the the UK. And if it wouldn't eject the UK as a whole, why would it eject the former component parts of the union? And this is before we even consider the practical implications and political repercussions of such a move. What happens to the EU citizenship rights of all those people? And does the EU really want what would effectively be an internal debate about membership of the EU or the protracted business of an accession process? Bad enough that there are already rumblings about a UK referendum on its relationship with the EU. 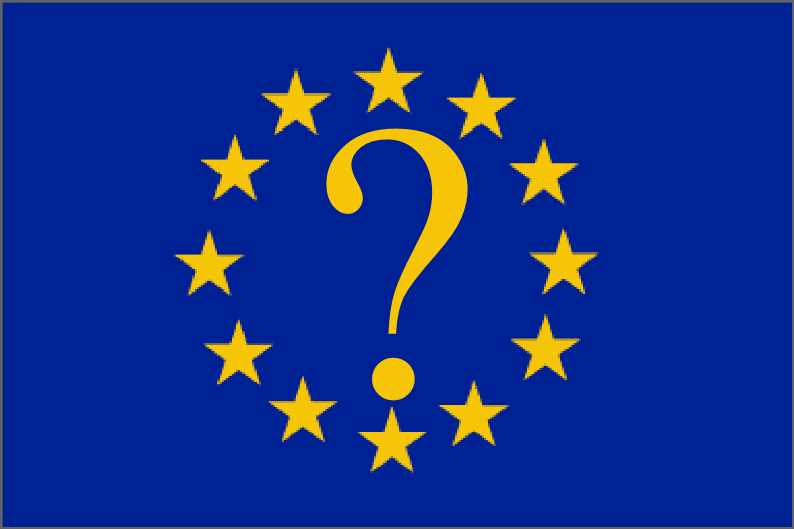 If one accepts that the EU would much prefer to avoid such a referendum and the debate that goes with it, then one must surely reject the notion that the EU would deliberately put itself in that position. Especially when it has a simple alternative available. And don't the same arguments apply to the option of secession and continuation? If ejecting the UK is problematic then ejecting Scotland is only proportionately less so. It is certainly not unproblematic. What makes Scottish independence unique is that it involves, not the secession of a region of a nation, but the ending of a (nominally) voluntary union of two (supposedly) equal nations.When the UK government entered into treaties it did so on behalf of both England and Scotland. Therefore, Scotland is as much a signatory to the treaties underpinning the EU as rUK is. But it is political pragmatism more than any technicalities of constitutional law that will carry the day. The EU will choose the two successor states solution for the simple but highly persuasive reason that it is the easiest option. It is the option that is likely to create the least difficulties. Some will argue that the interests of countries like Spain, with it's own Basque and Catalan independence movements, will create difficulties. But the Spanish government has always taken the line that the situations are not comparable because of the constitutional nature of the UK as a voluntary union between two countries. That remains their position notwithstanding the occasional off-message statement from Spanish politicians and government officials. And it's not as if the Catalan independence movement is some nascent cause that could be inflamed by Scotland's example. It is already a huge thing. Any effect from Scotland becoming independent would have to be relatively small. Almost certainly not enough to outweigh the disruptive effects of a redundant accession process. It is worth noting at this point that, given the attitude of the current UK government to the EU, it may well be the greatest threat to Scotland's continuing membership of the EU may lie, not in becoming independent, but in remaining thirled to the union. There are, of course, other strands to the anti-independence campaign's scare stories about the EU. The insistence that Scotland would be forced to join the eurozone, for example. This despite the fact that the majority of new member states have not adopted the euro. Even those which meet the criteria, such as Sweden, show no signs of doing so. Then there is the assumption that Scotland will lose the much-vaunted rebate that the UK enjoys. But not only is this a very dubious claim given the fact that Scotland is an equal signatory to the arrangement, it is not necessarily a bad thing anyway. It could well be that what an independent Scotland gains in terms of regional aid might more than compensate for any reduction in the rebate. These things and more would naturally be subject to negotiation. Something which, despite the impression given by unionists, the Scottish government has always acknowledged. But these are the sort of technicalities that politicians, diplomats and civil servants deal with on a daily basis. What reason is there to suppose that Scotland might be uniquely incapable of satisfactorily conducting such negotiations? That Scotland will continue to be a member of the EU after independence may not be the cast-iron, gold-plated, signed-in-blood certainty that unionists so childishly demand. But it is a very high grade political certainty. And here in the real world that is as good as you're going to get. It is simply not good enough for British nationalists to just stamp their feet and insist that the Scottish government has got it wrong. 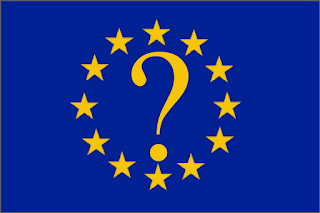 They have to present an argument that is at least as strong as the one which says the two successor state option is the one most likely to appeal to the EU - or the international Court of Justice should it come to that. They will have to explain why the EU would choose to initiate an accession process, with all that this entails, when there is absolutely no need to do so - when it has an infinitely more amenable option available. They will have to explain the process by which the people of Scotland might be stripped of their EU citizenship. That's not going to be an easy case to make. And where to find that certainty they're after? At the end of the rainbow. Hanging from the horn of the unicorn playing tiddlywinks with the crock of gold. Thank you for that! That is one of the most credible, understandable cogent and clarifying analyses I have read so far about the whole "did they, didn't they get legal advice" broohaa of the past week. My brain can now take a rest from trying to make head or tail of it all!